Safety & Health Expo, organised by UBM EMEA, is thrilled to announce its best ever inspirational speaker line-up. Rock star physicist Professor Brian Cox OBE; rugby world cup final referee, Nigel Owens MBE; double Olympic gold medallist, Dame Kelly Holmes; and Falklands War veteran, Simon Weston OBE. 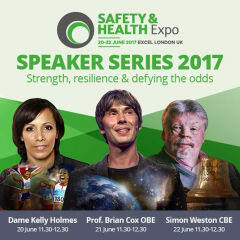 Taking place as part of the Protection and Management Series 2017, Europe’s leading events for security, fire, safety, workwear, facilities and service management, at London’s ExCeL from 20-22 June 2017, these three keynotes will take place in addition to over 60 dedicated health and safety sessions. Launched in 2015, the Inspirational Speaker Series gives visitors the opportunity to hear from leaders outside of the health & safety profession, whose achievements are world-class and incredibly inspiring. Following an industry-wide survey, these three high-calibre speakers were chosen as the overwhelming favourites to lead keynotes in the Keynote Theatre, sponsored by Honeywell, and captain the 2017 speaker programme. Presenting 20th June, 11.30 – 12.30 and joining a panel debate 12.30 – 13.15, Dame Kelly Holmes is best known for her success in the 2004 Olympics, where she won two golds and became only the second woman in history to claim the 800m and 1500m titles for British athletics. Prior to her success on the track she served almost 10 years in the military and was awarded an MBE for her services to the British Army. What many people may not know is that she has also battled with depression, and at Safety & Health Expo, following her keynote speech, Dame Kelly has agreed to share her struggles on the show’s mental health panel discussion. This will immediately follow her speech on ‘having the passion, compassion and courage to succeed’ on 20th June. Professor Brian Cox OBE, presenting 21st June, 11.30 – 12.30, is one of UKs most famous (and dare say favourite) physicists, having made the world of science so engaging and accessible to the masses. He has played a key part in the ATLAS and CERN Large Hadron Collider projects, whilst still finding time to take part in TV programmes such as ‘Wonders of the Universe’ and ‘Wonders of the Solar System’, which have been viewed around the world by millions. Many will also know him from his keyboard-playing days in ‘D:Ream, the pop band behind the 90’s hit single, ‘Things Can Only Get Better’. Professor Cox will be ‘Exploring the Universe’ with us on 21st June. Nigel Owens MBE is presenting 21 June, 13:30 - 14:00, on peak performance and tough decisions: a personal story from 'the best referee in rugby union' will give an insight into remaining firm and impartial under huge pressure. The World Cup Final referee is widely considered to be the best official in rugby union. He implements rules fairly but allows the game to flow; he imposes his authority - but he isn't afraid to show a sense of humour on the pitch. He's also the only openly gay official in what's seen as an especially macho sport. Presenting 22nd June, 11.30 – 12.30, Simon Weston CBE was aboard HMS Sir Galahad with the Welsh guard regiment when it was bombed by Argentinean planes during the Falklands War. 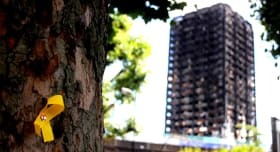 The horrific burns he suffered required a series of operations that continue to this day. Despite his injuries and the physical and mental suffering, Simon’s life is an example of great personal triumph and courage. He is a true role model for positive mental attitude and overcoming hardship. Simon will share his very personal story about ‘turning adversity into opportunity’ on 22nd June. 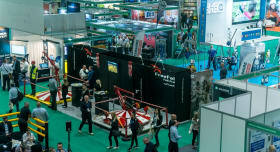 Safety & Health Expo is part of UBM EMEA’s Protection & Management Series, the UK’s largest event dedicated to protecting and managing property, people and information. 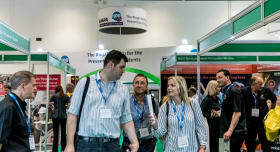 The series incorporates major events Safety & Health Expo, Professional Clothing Show, IFSEC International, FIREX International, Facilities Show and Service Management Expo, which attract more than 45,000 attendees annually over three days to ExCeL London, with 1,600 suppliers showcasing their latest products, and 150 hours of seminars, workshops and keynote speeches. To register to attend Safety & Health Expo and hear from these incredible speakers, plus much more, please click here.